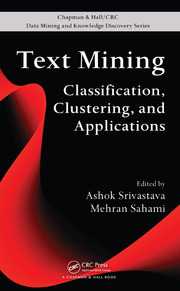 News – Page 3 – Ashok N. Srivastava, Ph.D.
Mehran Sahami and I just finished an edited book on text mining by a number of luminaries in the field. You can pick it up on Amazon. 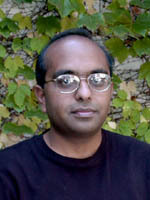 I’m the Principal Investigator of the Integrated Vehicle Health Management (IVHM) project at NASA and am also the lead of the Data Mining Group at NASA Ames Research Center. The goal of the IVHM project is to develop technologies to detect, diagnose, predict, and mitigate adverse events during flight. I provide strategic direction to NASA in the areas of systems health management and data mining. I also started dashlink, a social networking site for people in systems health management, data mining, and related fields. The data mining group at NASA performs research and development of advanced machine learning and data mining algorithms in support of NASA missions. I’m interested in methods to improve aviation safety, developing new technologies to improve the safety of next generation space propulsion systems, performing fundamental studies in the earth sciences to understand climate change, and using data mining to study the large-scale structure of the universe. I’ve given seminars in numerous international conferences and recently gave a televised presentation covering data mining and text mining in aviation safety applications. I have a broad range of business experience including serving as Senior Director at Blue Martini Software and Senior Consultant at IBM. In these roles, I’ve consulted for numerous Fortune Global 500 companies including Bank of America, Chrysler Corporation, Saks 5th Avenue, Sprint, Chevron, and LG Semiconductor. I have won numerous awards, including the NASA Exceptional Achievement Medal, the NASA Distinguished Performance Award, several NASA Group Achievement Awards, the IBM Golden Circle Award, the Department of Education Merit Fellowship.